The actual plot isn’t anything special, because this movie works on the dynamic of the group, who can do almost nothing but bicker with each other in argument after wonderful argument — regardless of species or stakes, everything creature in the galaxy can take time out to whine. And it works because they have a depth and breadth of character that I wouldn’t (whether rightly or wrongly) from your typical Marvel movie. While promotions focused on the novelty of a talking raccoon, Cooper elevates his role to something beyond a gimmick — a scene in which Rocket gets drunk and belligerent for being called a rodent is the kind of moment that was distinctly lacking in The Amazing Spiderman 2, which rushed forward with endless plot points that it never took an opportunity to enjoy its cast. And in addition to exchanges are the little touches, Star-Lord and the Space Rat; Groot’s morbidly overenthusiastic approach to fighting; fifth member Drax’s (Dave Bautista) inability to comprehend metaphor and employ tact; Gamora’s constant rebuffing of Star-Lord’s advances; even the subtle running gag that Star-Lord is stuck in the ’80s (which, granted, makes sense) — and which, astonishingly, doesn’t really call attention to the references or treat them as independent jokes. There’s not much more to say — this film delivers on pretty much every promise. 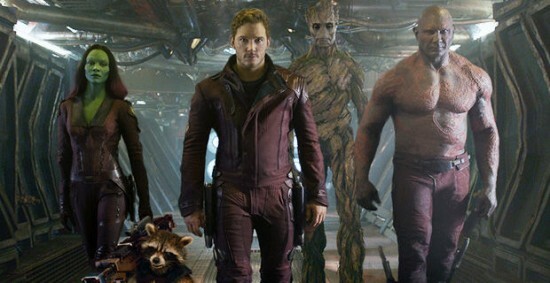 The action is fun and innovative, the running time is just about right, and all that, but, most of all, Guardians of the Galaxy appreciates and celebrates its characters’ stupidities and incompetencies, which is a humanizing touch that’s been missing from summer blockbusters for a long, long time. lovers except this article is truly a pleasant post, keep it up.